This article presents the best workflow of Blackmagic Production Camera 4K in Avid MC. If you are intending to import Blackmagic 4K video files into Avid Media Composer for further editing? Read on to learn more hints. Granted that ProRes can be used in Avid Media Composer with AMA. As far as I know things are a little more complicated with ProRes; AMA linking to the ProRes QT files will not allow for the clips to be consolidated. In addition, handling 4K files in Avid Media Composer is very taxing on your computer and needs a very high system requirement. On such case, in order to work Blackmagic 4K footage in Avid MC smoothly, the quick workaround is to downscale and transcode Blackmagic 4K ProRes to a more “edit” friendly codec- DNxHD in 1080p initially. For giving priority to video quality and transcoding settings, Brorsoft Video Converter for Mac is the most ideal choice for you. Developed with the most advanced converting technology, this 4K video converter truly and fully supports input and output videos at upto 4K resolution. With it, you can import 4K UHD to Avid Media Composer, FCP, iMovie, After Effects, Premiere Pro, etc for professional editing. In a word, with this professional 4K converter, you can transcode your Blackmagic 4K movies to Avid MC editable format fast and effortlessly. If you work Blackmagic 4K files in Avid Media Composer on Windows, please get Brorsoft Video Converter. Below is the detailed guide on transcoding Blackmagic 4K files to Avid Media Composer friendly video formats. Run Blackmagic 4K Converter Mac and click “Add file” or “Add from folder” button, browse to the Blackmagic 4K ProRes footage and load them to the converter for conversion. You can check the “Merge into one” box to join several video files together. Click “Format” bar to choose output format. For transferring Blackmagic 4K to Avid MC, you are recommended to choose “Avid Media Composer -> DNxHD (*.mov)”. Tip: Click the “Settings” button and customize proper video/audio parameters including Video size, bitrate and fame rate and more. 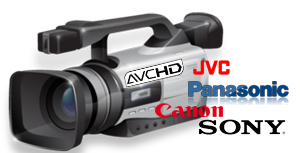 Usually 1920*1080 video size and 30fps video frame rate are recommended for Avid MC smooth editing. But if you want to get original 4K resolution, just keep the video size as original. When you finish all settings, hit “Convert” button to start transcoding Blackmagic 4K video for Avid Media Composer on Mac. You can follow the conversion process from the pop-up windows. After the conversion, it would be easy to import Blackmagic 4K ProRes 422 (HQ) files into Avid Media Composer for natively editing.